“It’s important,” as Jean Cocteau once said, “not to confuse seriousness with gravity.” Famed designer Jamie Drake of Jamie Drake Design, a New York based style icon, echoes this sentiment with his innovative taste and unique design. Internationally recognized and highly celebrated, Drake is a true master in both traditional and contemporary styles with a natural gift for designing brilliantly stylized modern interiors. To create his signature look, Drake embraces an eclectic mix of styles, colors and periods, fashioning uncommonly alluring interiors that express the individual personalities of their occupants. Bold, polished, confident, suave and witty: these are the ingredients in his potent brew. With clients spanning the entire human spectrum, Drake has crafted custom looks for entertainers such as Madonna, to politicians including Michael Bloomberg. His client base reflects the alluring adaptability of his designs. Drake is one of the foremost tastemakers on the design scene and he frequently participates in some of the most prestigious show houses. His work has been widely published in several of the industry’s leading journals including, Elle Decor, Architectural Digest (US, France, Germany) House Beautiful, Metropolitan Home, House & Garden as well as the New York Times. 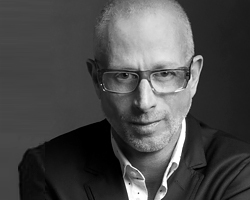 A recent inductee of the Interior Design Hall of Fame, Drake recently received the Andrew Martin International interior Designer of the Year award, and maintains numerous other accolades. “Jamie Drake’s New American Glamour,” a book on his personal aesthetic, was published by Bulfinch Press in 2005.